It’s Halloween, and I’m in the tub of the Rose Room at the Beechwood Inn in Barnstable, Massachusetts. I’m just back from the Barstable Village Haunted and History Walking Tour, which was a two hour or so stroll through the haunted spots in this stereotypically perfect Cape Cod village. 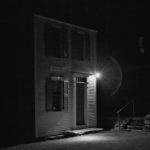 The tour ends at the Old Jail in Barnstable, where there were a few moments that were just about downright chilly – a rarity on ghost walks of any type. 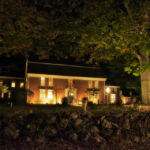 I ask Derek Bartlett, the creator of the tour and founder of Cape And Islands Paranormal Research Society if my bed and breakfast, The Beechwood Inn has any spooks. 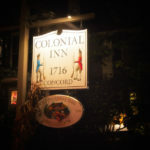 The Beechwood Inn is surrounded by trees, and there was a fairly stiff breeze this night – the sound of leaves blowing in the wind was like the applause from a crowd, coming at you from a distance till the wind reached the two large beechwood trees which give the inn its name, and they would join in, heavy limbs creaking. The 1853 home features a wrap-around porch, and as I turned the corner I was faced with the eerie sight of the inn’s rocking chairs, all rocking away in a frenzy without occupants. Yes, I realized that it was the wind, but it’s still a good effect. 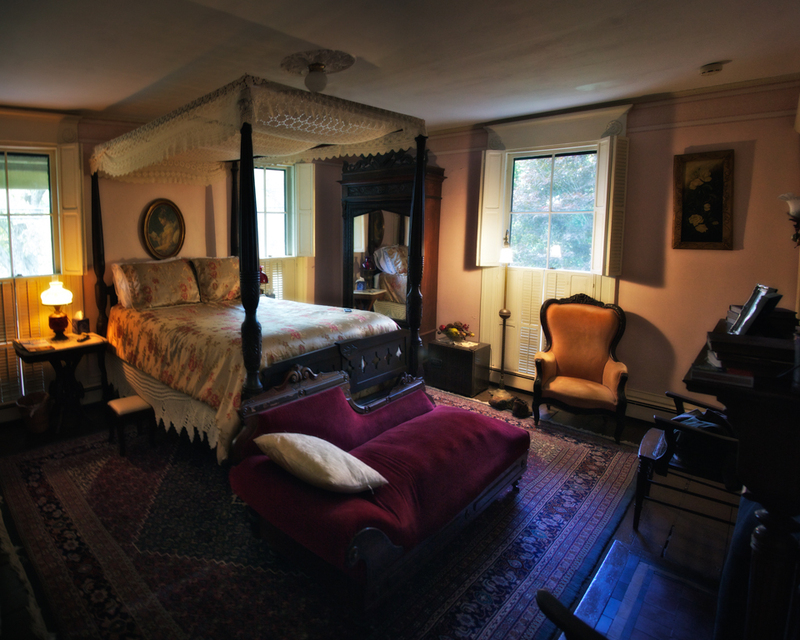 The Rose Room is ideal for a haunting. Aged wood floors, stocked with antiques including a solid mahogany queen-size canopy bed that might as well date from the middle ages, a red velvet fainting couch, and a hand-carved Italian mahogany armoire. The first thing I had to do when entering the room was turn face-down a portrait of a woman with haunting eyes which seemed to date from early in the twentieth century, that sat on the mantle of the fireplace. And that was in the daylight, when you couldn’t ask for a sunnier room. So I’m in the tub which okay, I admit has always been my thoughtful spot. Pooh had his tree, I have the tub. The water is running and the bathroom is one of those long, narrow spaces so common in New England homes, where toilet facilities were by invention an afterthought. So the water is echoing loudly, and I’m just about the lean back for a long soak, having ascertained that the faucets could be controlled with one’s toes. And I hear the door slam. Now there are only three rooms on my end of the house, all of which were empty when I had reached my room. It was late when I got back, and Barnstable isn’t exactly a hopping place on Sunday night. Besides, the parking lot had been empty all afternoon. I shut the water off and listen to footsteps on the hardwood floor. They seem to stop just outside the door of my room. I realize I’m holding my breath. Then silence. Gradually I regain my courage, figuring it must be someone in another part of the house, or the owners checking the rooms for the night. I decide it’s a good night to skip the tub and stand, turning on the shower. I start to rinse when I hear the footsteps once more. It’s a friendly spirit by all accounts I remind myself. But when the door slams again I forego rinsing for the evening and scramble out of the shower. 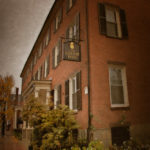 Unique to most haunted inns and restaurants, the owners of the Beechwood Inn, Ken and Debra Traugot, have seen the woman herself. And before the Traugots owned the inn, the previous proprietors had mentioned the resident ghost. But the Traugots were skeptics. That is until one afternoon in 2005, when Ken was outside doing some landscaping and saw an older woman in a white dress with greyish white hair, seemingly poring over a display of travel brochures which the Traugots had converted from an old closet. Ever the dutiful host, Ken hopped up and went to lend assistance to the woman, only to find out when he got inside that she was gone. Thinking that maybe she was outside looking for him, he went back out, only to once more see her where she had been. Noticing no cars in the driveway, it dawned on him that he was seeing the ghost, and it seemed to be playing hide and seek with him. It was also likely about this moment that he became a believer. His wife Debra was washing sheets in the laundry room which butts up against the Lilac room, where she heard music from inside. Thinking the previous night’s guests had left a radio, she turned the key to the room to retrieve it, and upon opening heard a friendly voice chirp “good morning!” Fearing that she was intruding upon a guest, she immediately backed out and closed the door. She went to check with her husband, as she had thought the guests had already checked out, a fact confirmed by Ken, and that they were alone in the home. And in the Rose Room, after the guests had checked out one afternoon, Ken found that his keys no longer worked on the door. Eventually he had to remove the window and climb in, only to find the door bolted from the inside. Reports of a misty figure has been reported in the same bathroom which I was now abandoning, dripping water and suds across the floor. Now it wasn’t terror I was feeling, I am after all, a Professional. A certain nervousness was being experienced, we’ll leave it at that. So I dried and dressed, one eye continually popping out of my head to look behind me, and plopped down on the bed, clicking on the TV. It was Halloween as I said, and there was Jason making his rounds, and the next channel had Freddie and so on down the band. I believe I passed the night with a marathon of the Suite Life of Zack and Cody, finally falling asleep on the fainting couch in front of the fire. The next morning at breakfast, an incredible concoction whipped by the owners by the way, there was a happy foursome at one of the other tables, obviously good friends with Ken and Debra, and quite possibly the source of the slamming doors and footsteps heard the night before. Ken talks freely about his experiences in the house, and has no fears from the resident spectre. 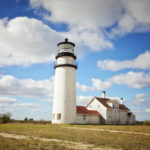 He related to me the story oft told of how when the nearby 1716 Barnstable House burned in 1975, an elderly woman was spotted in an attic window by firefighters. Racing inside the house to rescue her, they then watched her float away towards the Beechwood Inn, where perhaps she’s stayed till this day. Gothic Travel Review: So I didn’t see an apparition, and the slamming doors and footsteps I heard likely had an earthly explanation. The point here is that the Beechwood Inn is an ideal environment to believe, where every noise at night can become cause for alarm, if you’re of the mind to. It’s a lovely house with friendly owners, in a beautiful village steeped in history and hauntings. By the end of October it felt as though I had Cape Cod to myself, barely encountering anyone on the beaches even. The leaves turn later here, so a Halloween visit is ideal. Five crypts by raising the bar on what a haunted bed and breakfast should be. Face it, even the odds of visiting every haunted inn on the planet and witnessing a ghost is beyond remote. What you’re left with is the experience and the ambiance, which is best served by letting the house speak for itself. The Beechwood Inn excels at both. 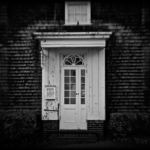 The haunted Beechwood Inn, Barnstable, Massachusetts. I’m really interested in this place. If I do get married to the amazing guy I’m with right now, I’d like to stay here with him!! !